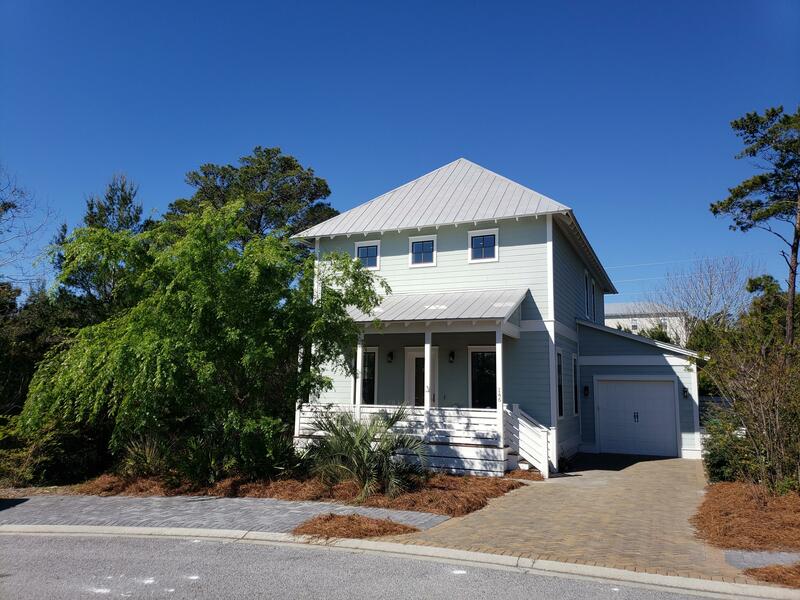 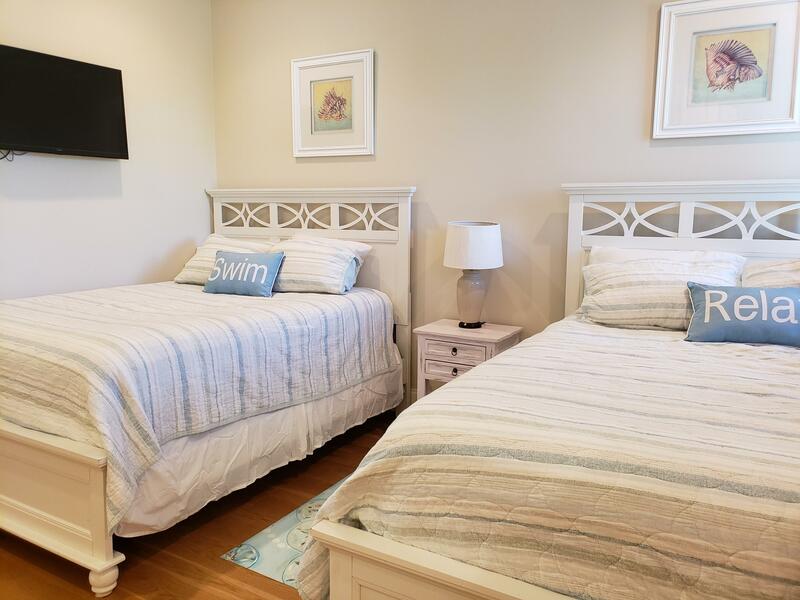 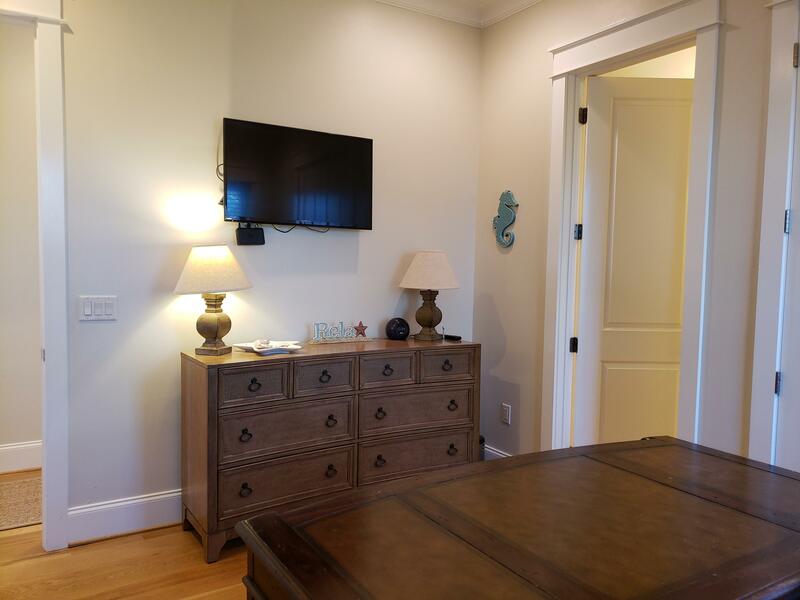 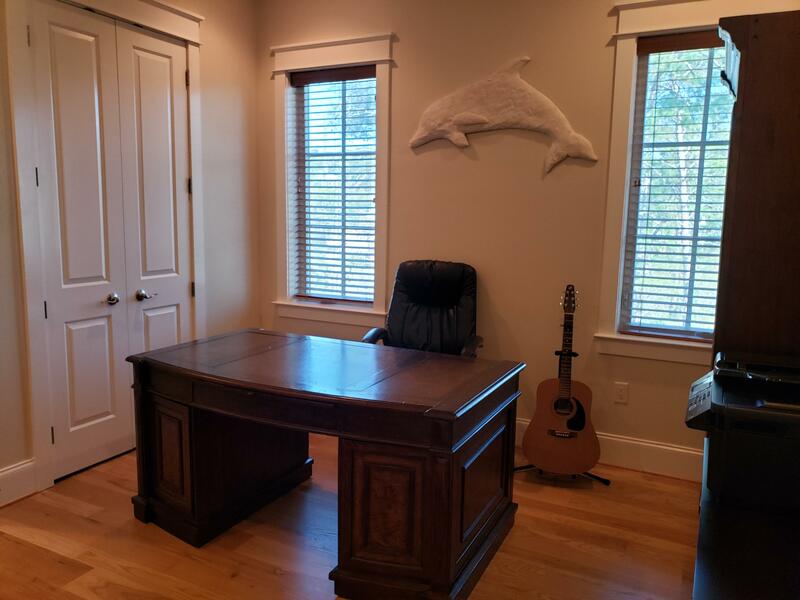 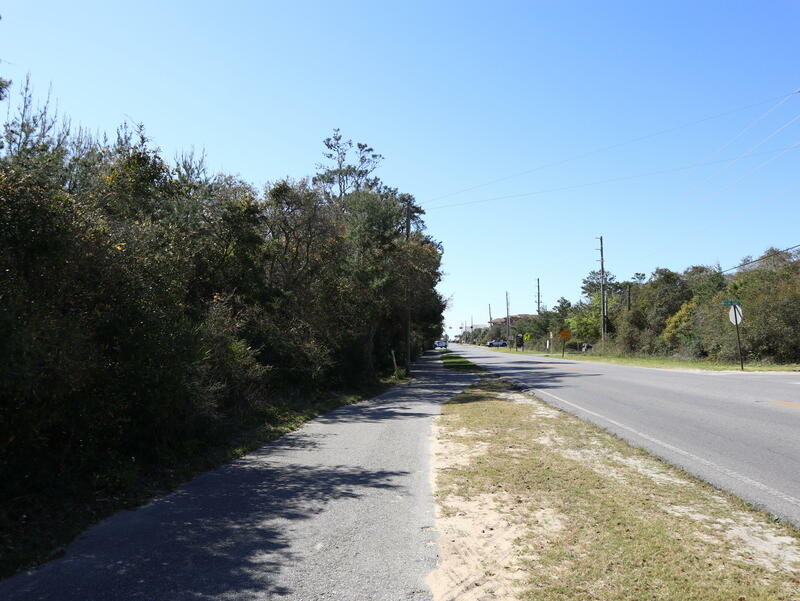 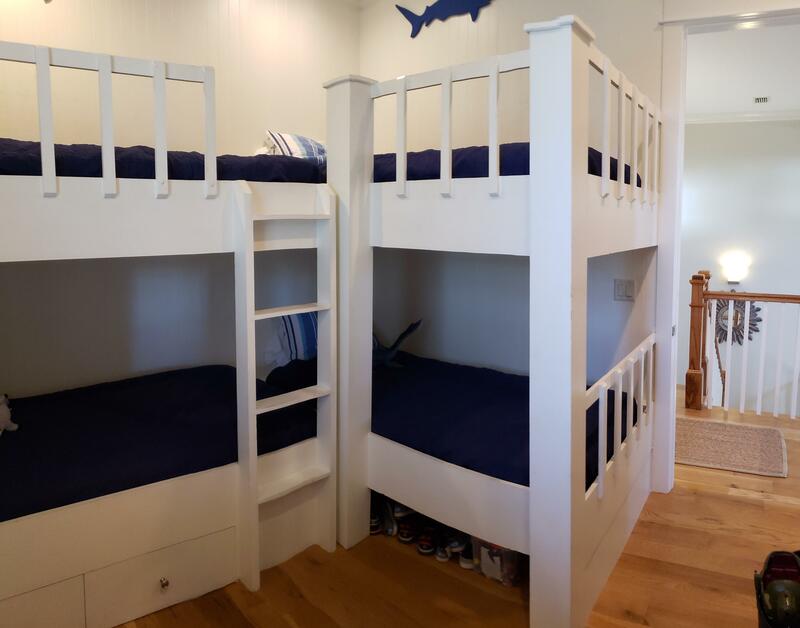 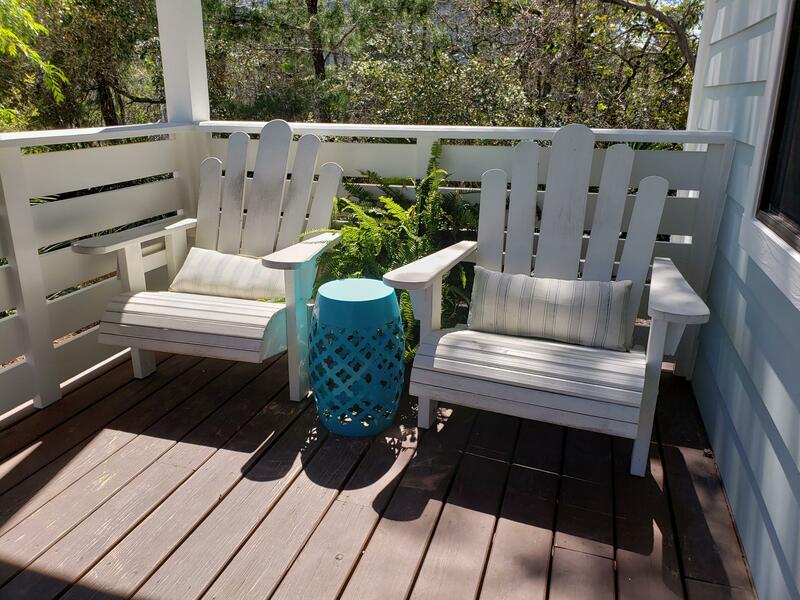 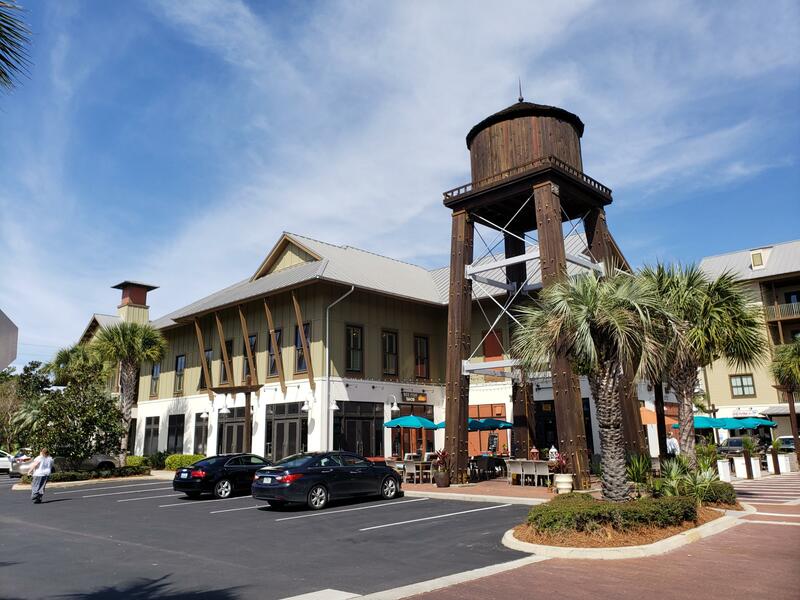 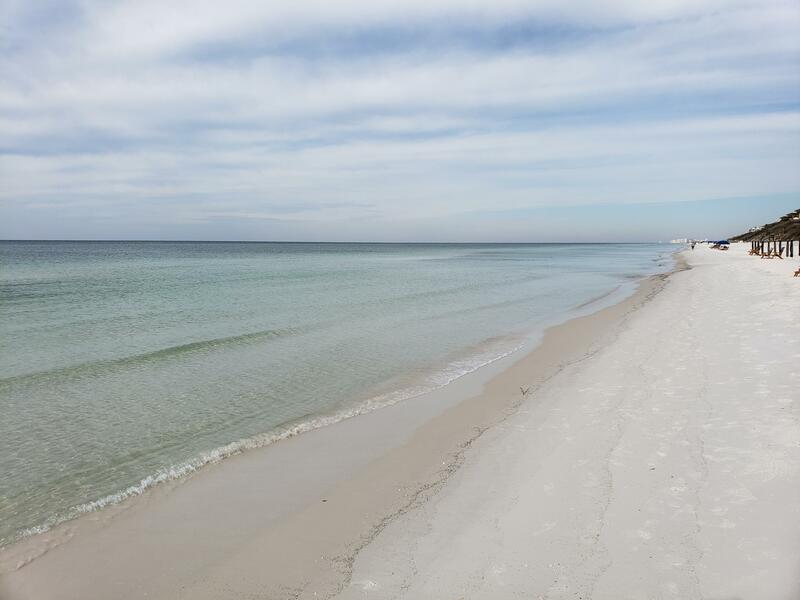 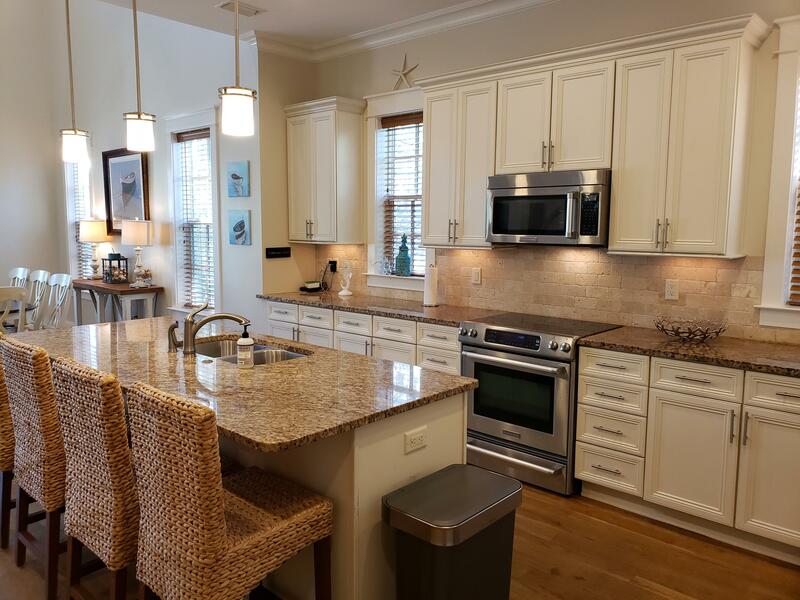 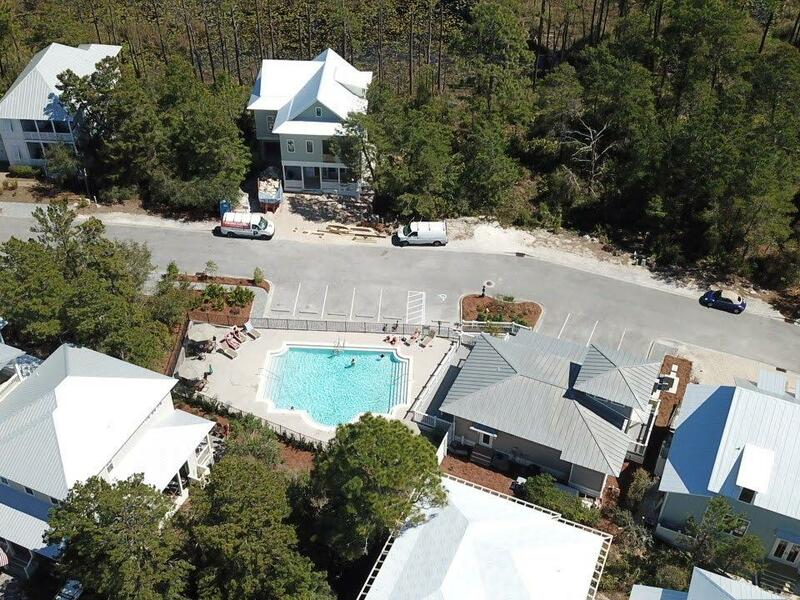 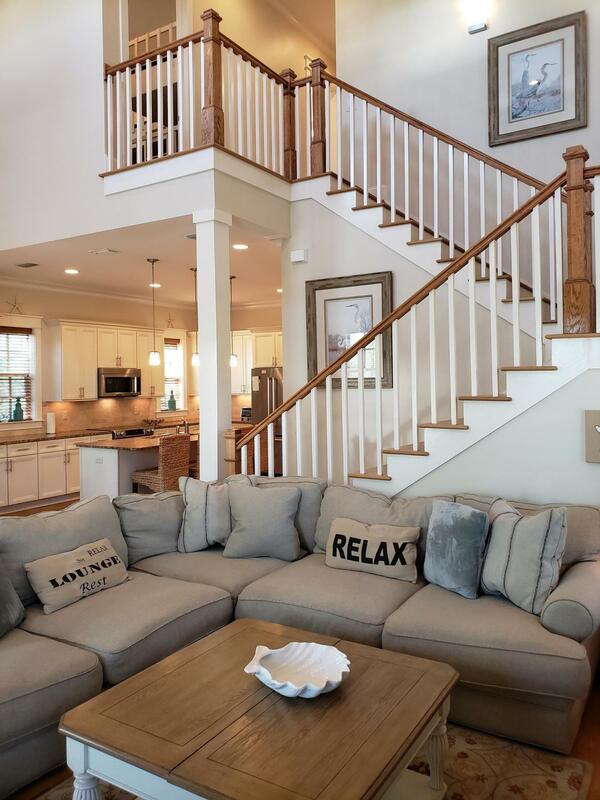 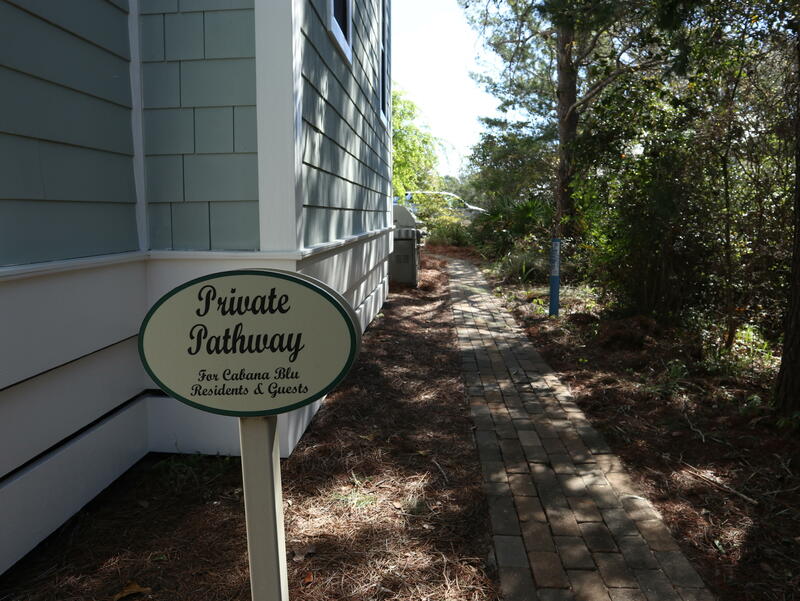 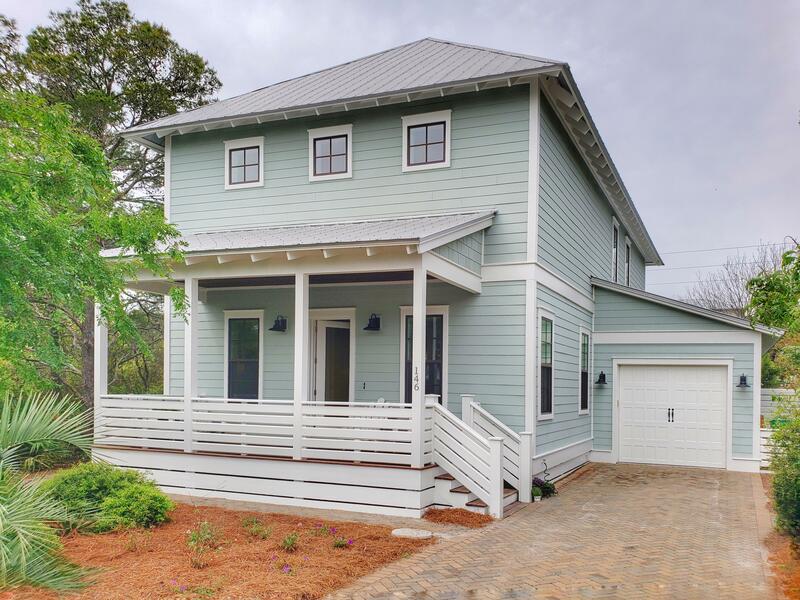 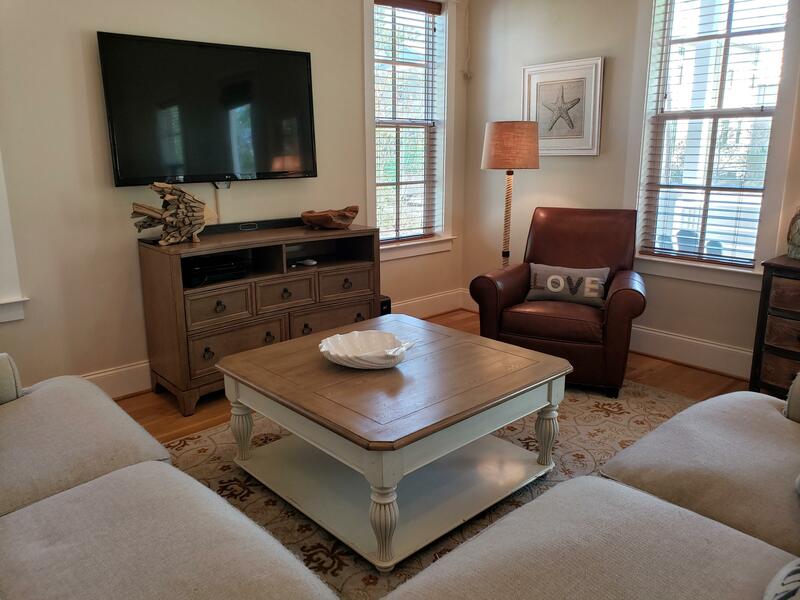 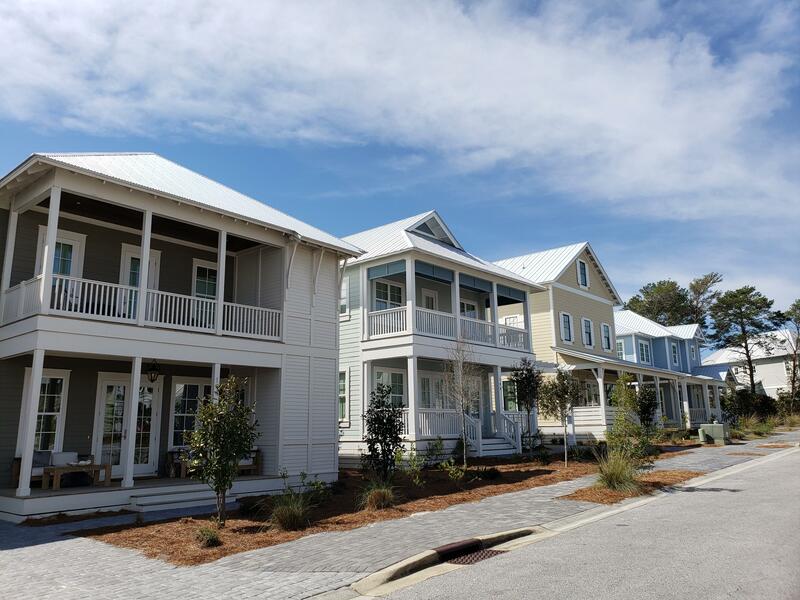 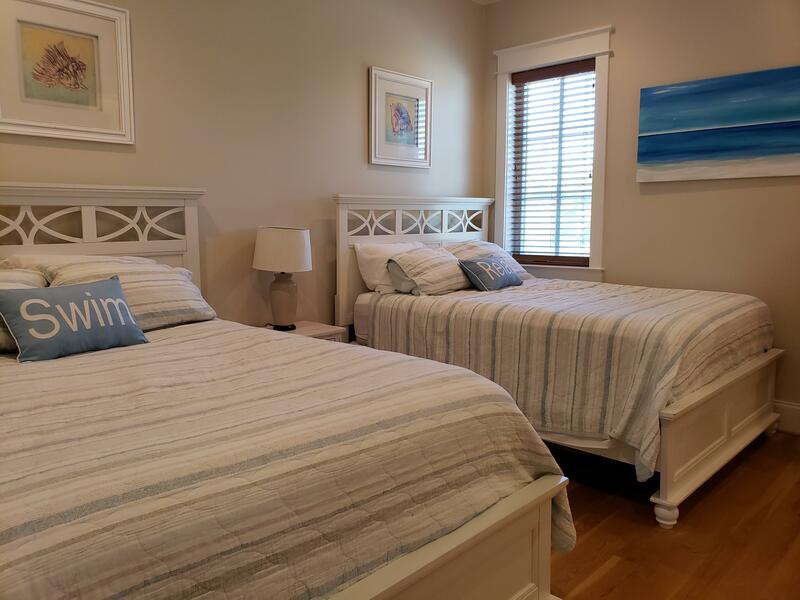 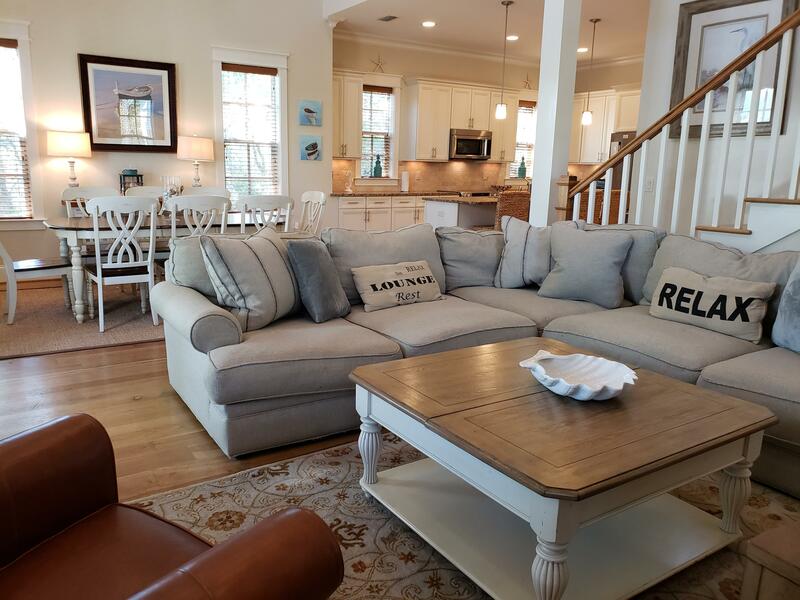 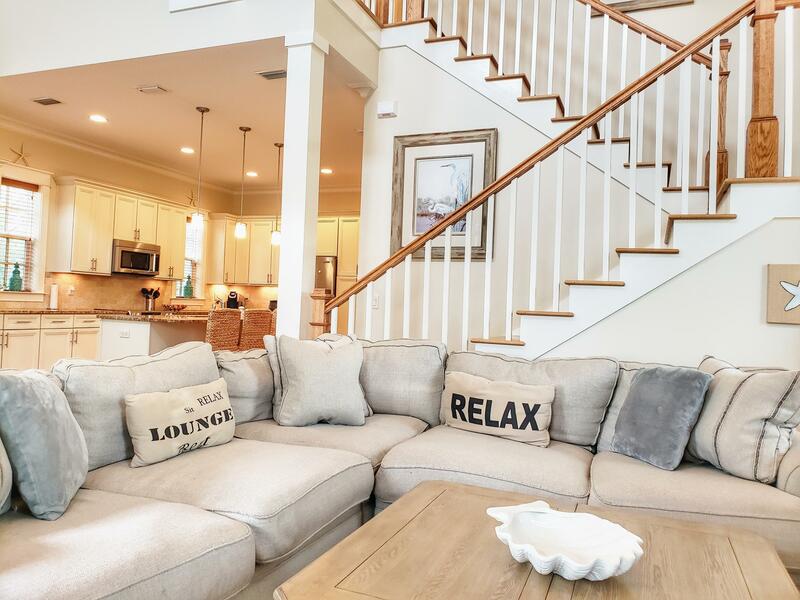 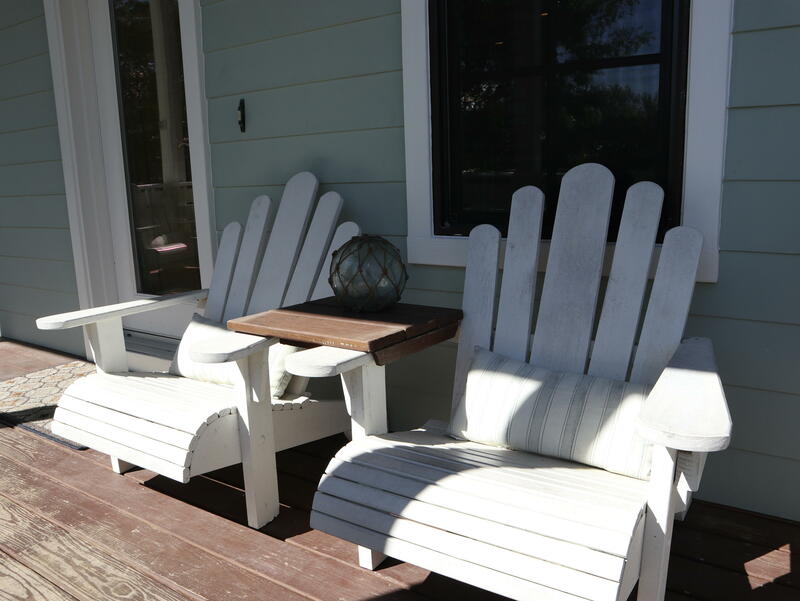 Located only two blocks to the beach, this neighborhood on Big Redfish Lake, is nestled between the State Forest with hiking and biking trails, and Redfish Village which offers shops, dining and much more. 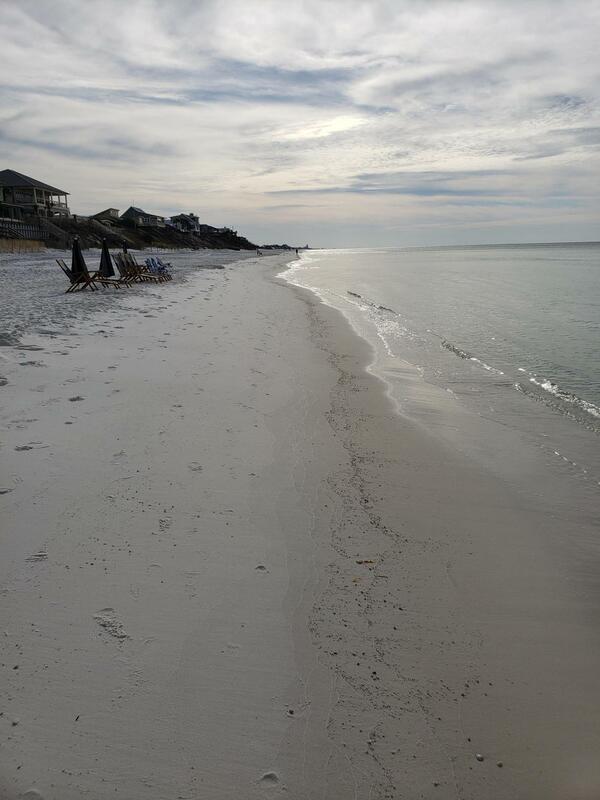 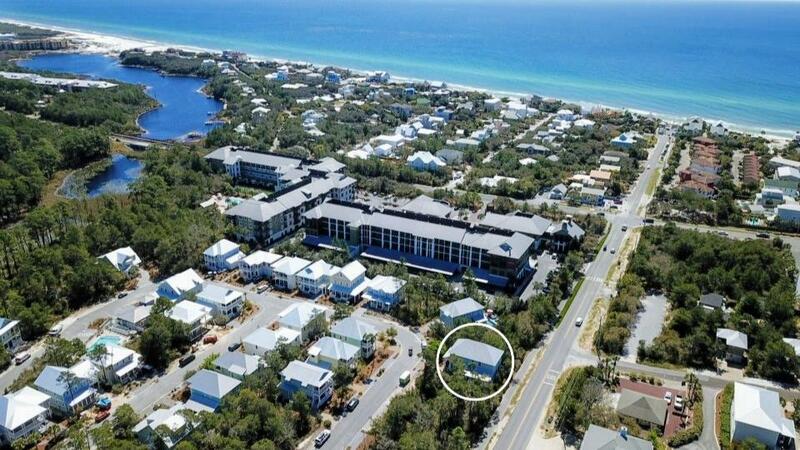 Easy to get to so many places in Blue Mountain Beach from this beach cottage. 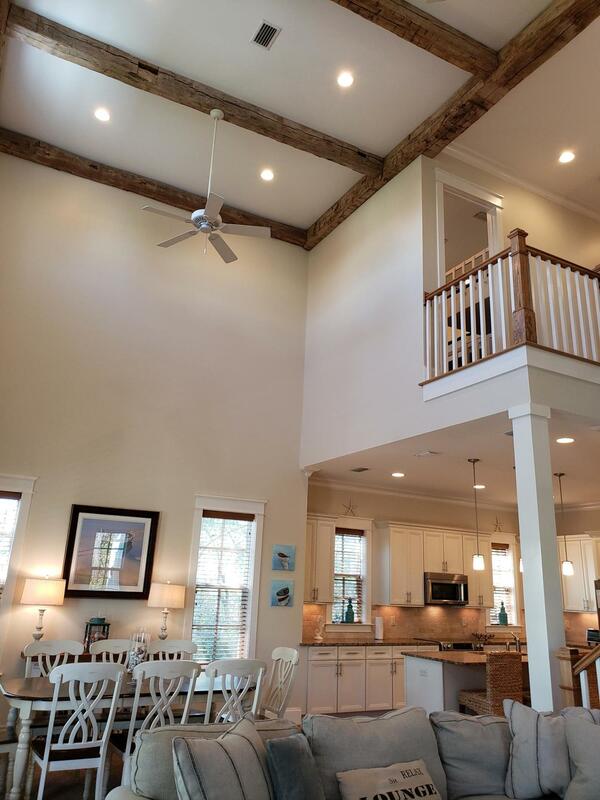 Inside, the 21 foot architectural beam ceiling invite you in to the open floor plan with living and dining in front, and spacious kitchen just beyond. 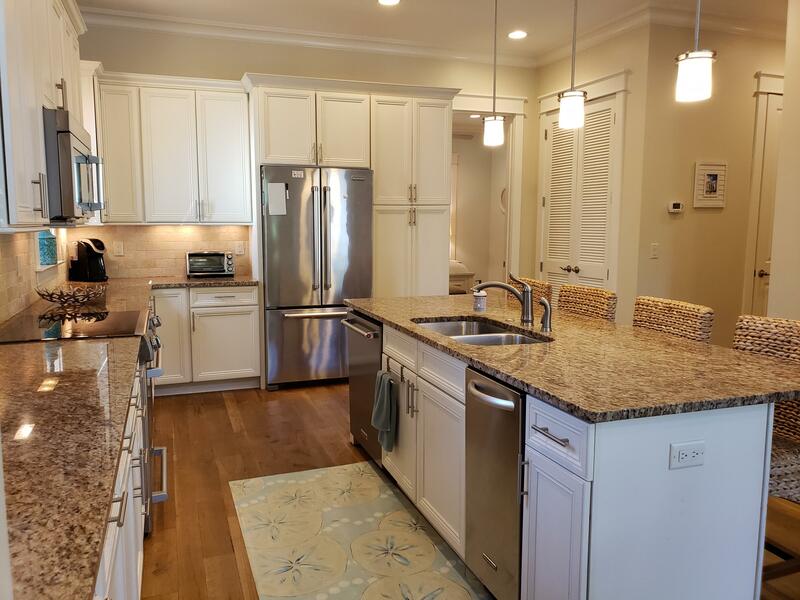 SS Kitchen Aid appliance including ice machine. 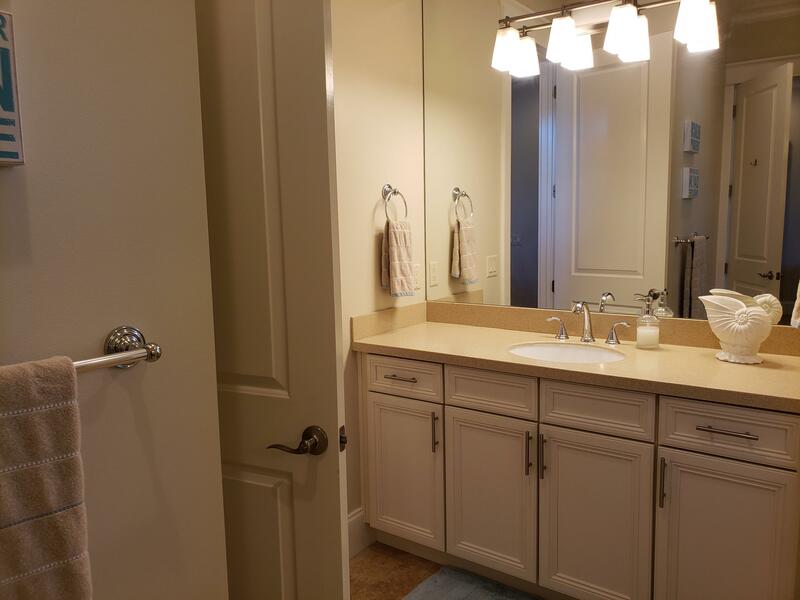 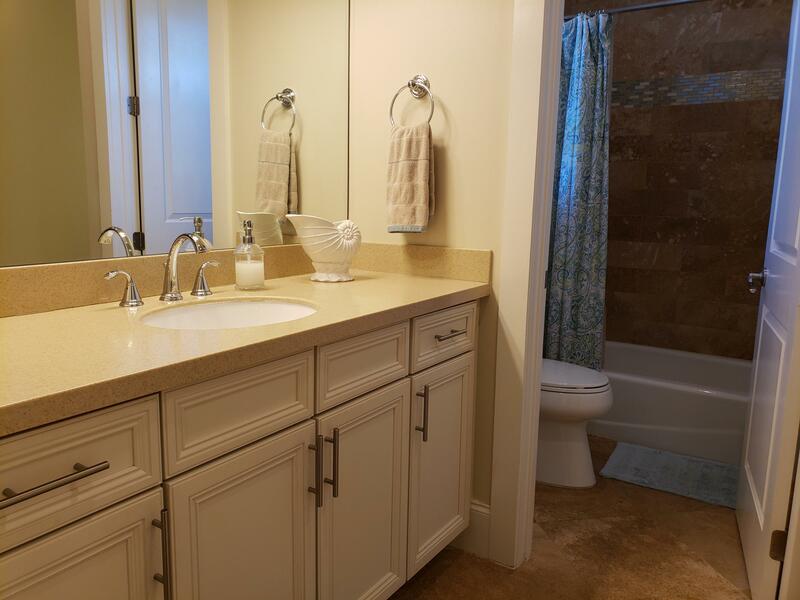 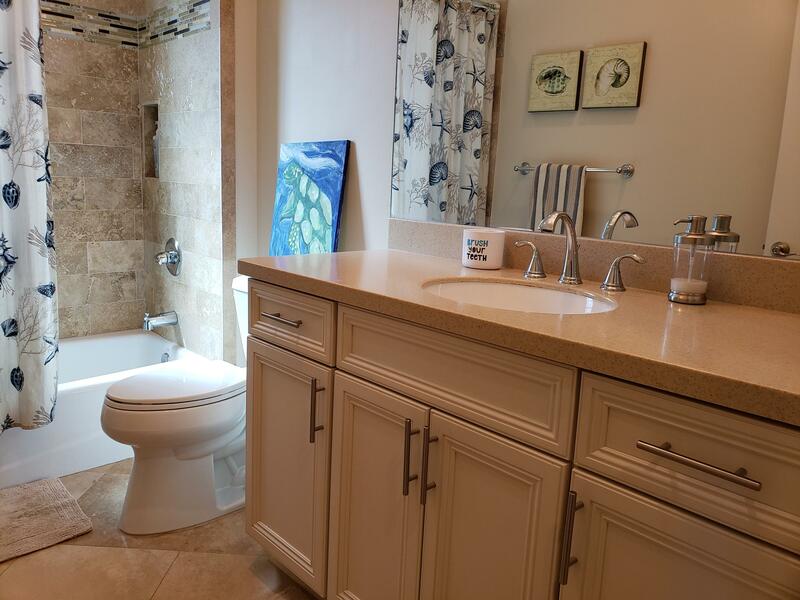 The master suite, laundry room and half bath are also on first floor. 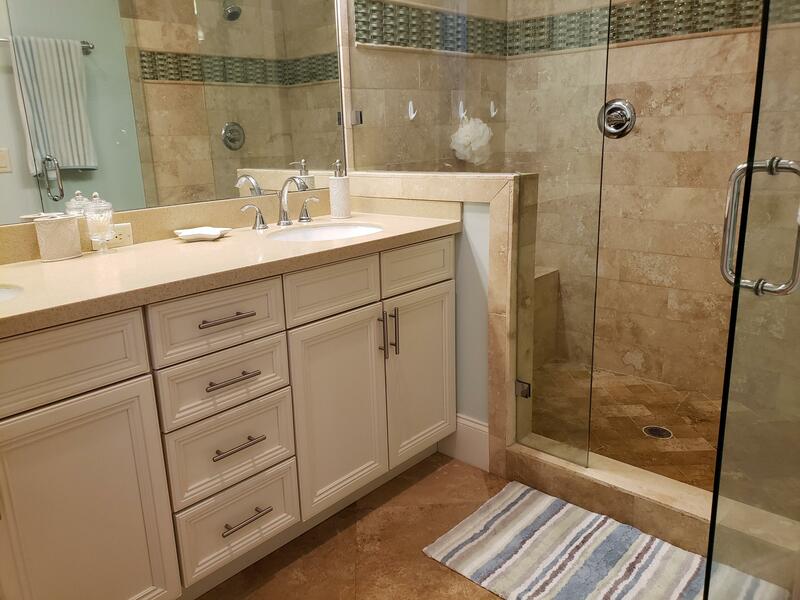 Varying-width solid oak flooring is throughout this home, with travertine flooring in bathrooms. 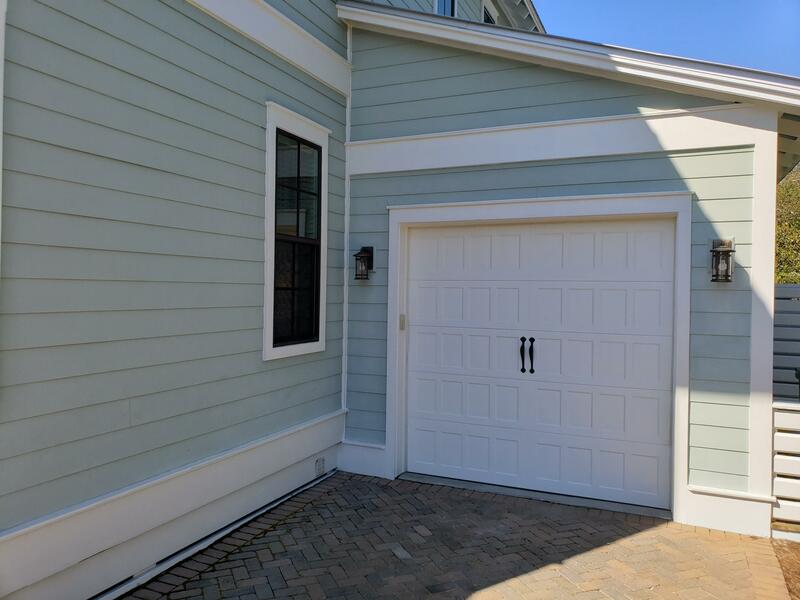 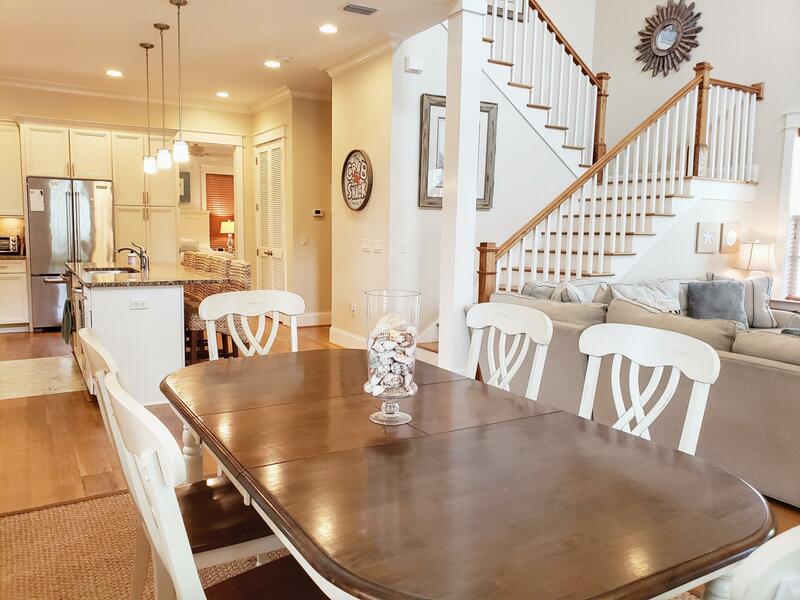 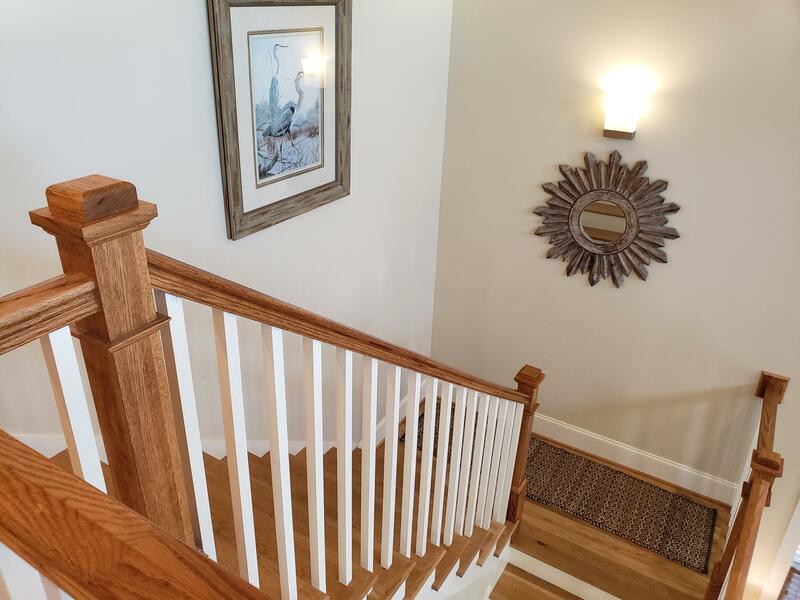 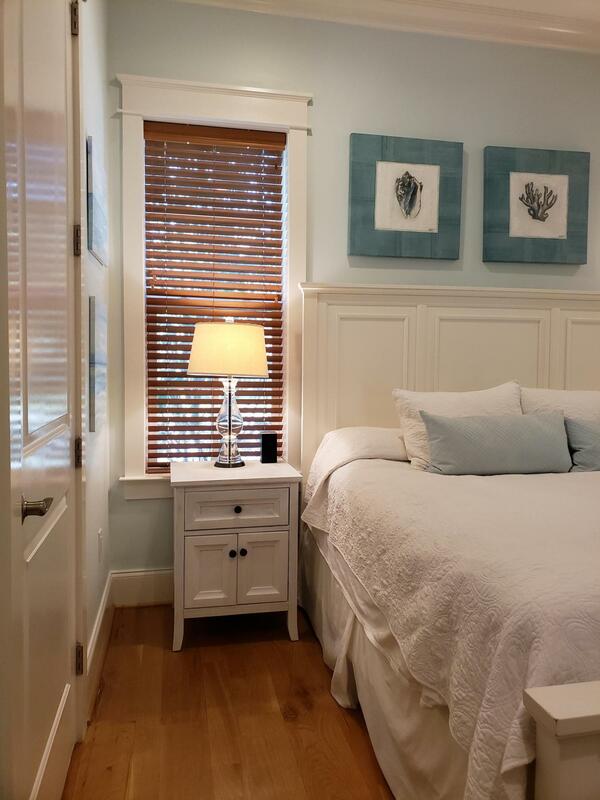 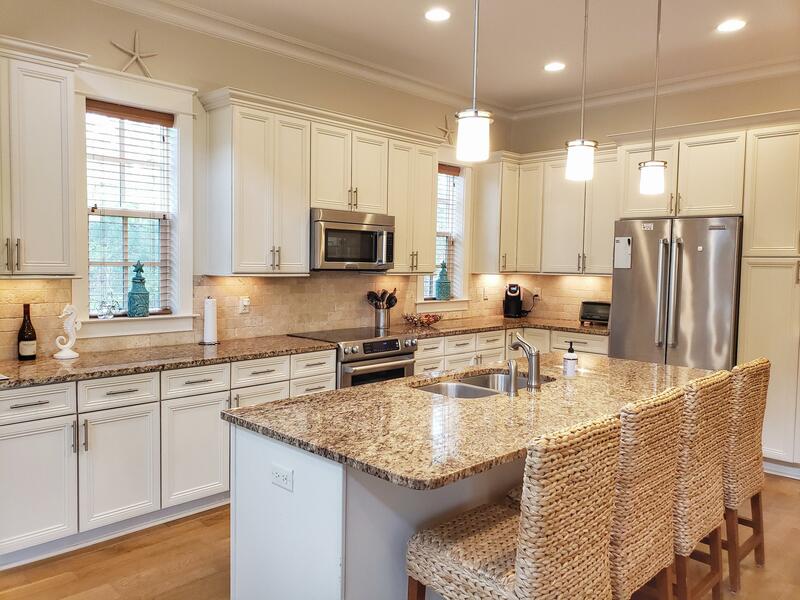 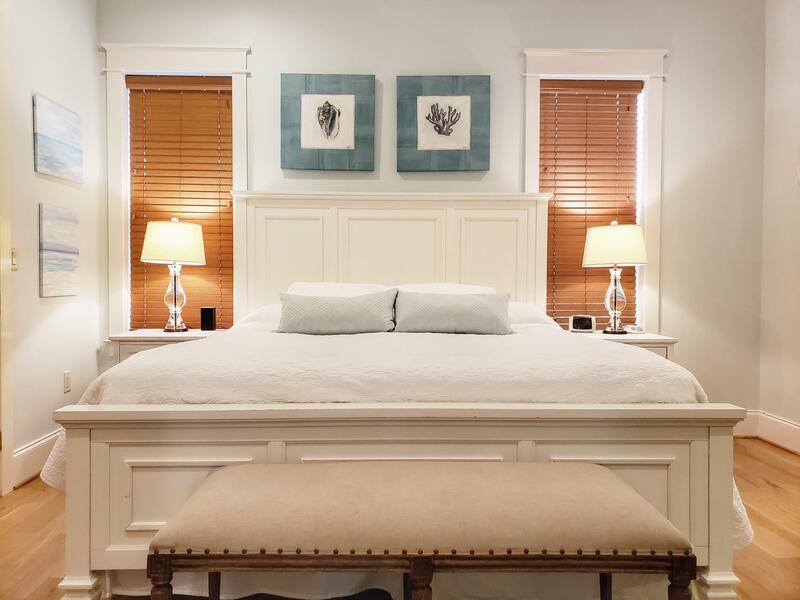 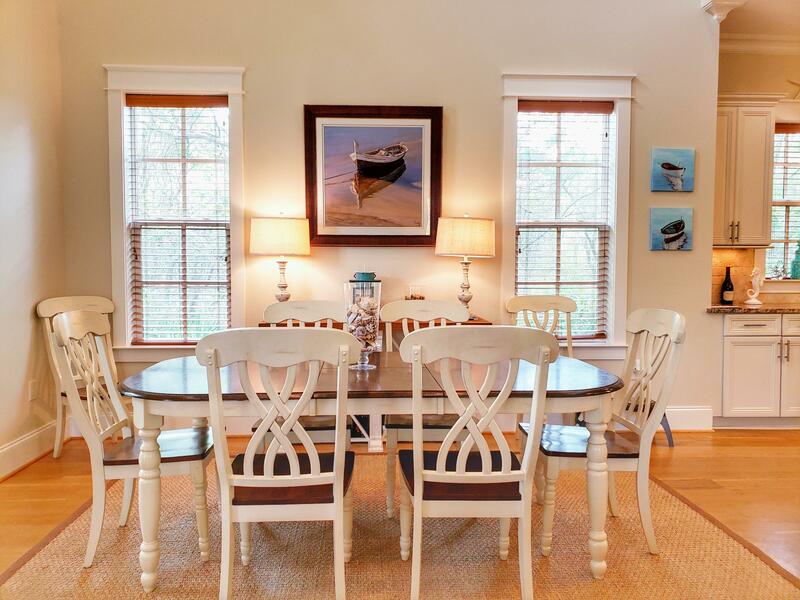 10 ft ceilings with crown molding and 8ft solid-core doors throughout the home. 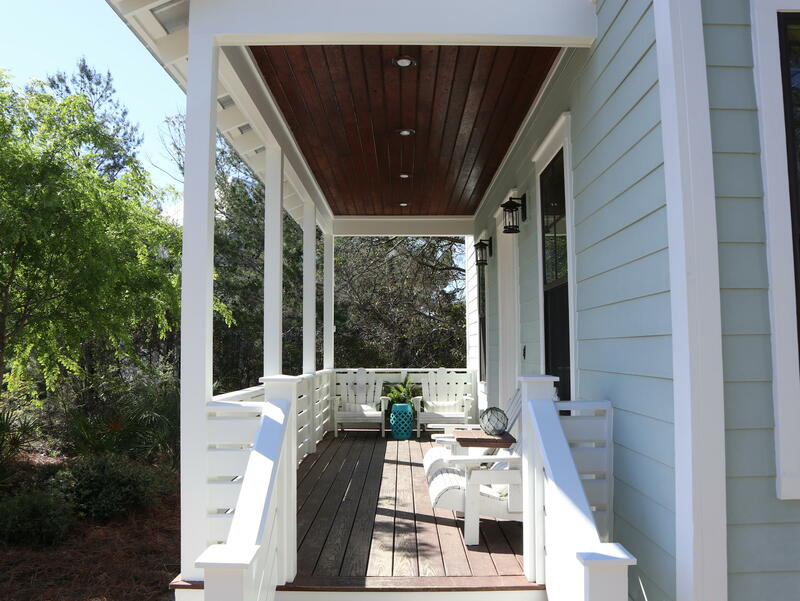 The details of this home truly stand out from the others in the area.